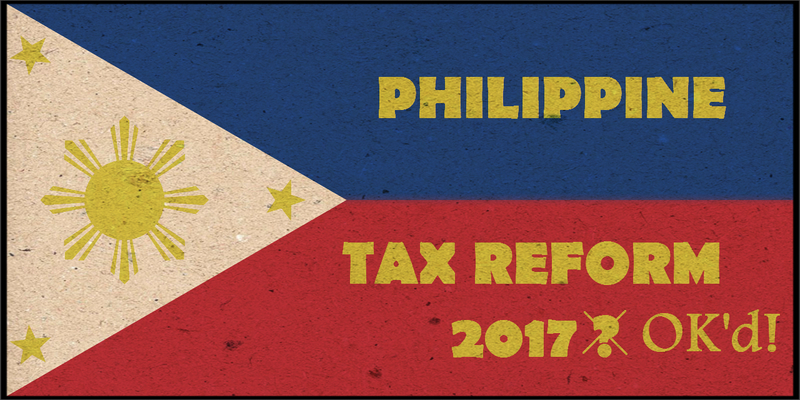 Senate Committee OK’s Their Version of 2017 Philippine Tax Reform, How Does It Affect Your Payroll? Philippine Senate Committee passed their own version of the First Package of the 2017 Philippine Tax Reform on Wednesday of this week. Though they retain the core values of the original version, there are new tweaks that those under or do payroll should know about. Earlier this year, the House of Representatives approved the first version of the 2017 Philippine Tax Reform back in May. The tax reforms are divided into five different packages, with the First Package intended to be implemented this year. One of the primary goals of the First Package is to alleviate tax for those who are in the lowest salary tier. The main value of the First Package for employers and employees is its tax relief per salary tier, and this is where the difference begins for the Senate and House versions. The original House version exempts those whose annual salary is from P0-P250,000, while the Senate version is from P0-P150,000, which will still provide tax relief for 64% of Filipinos. Another key difference is that the Senate version provides additional tax exemptions for those who have four dependents. The coverage of the tax relief is up to P100,000, which give a tax-free monthly income of P25,000. Furthermore, the Senate version also gives a flat 8% tax rate for the gross sale for those who are self-employed, such as freelancers, entrepreneurs, and so on. Aside from that, when it comes to filing taxes, they only need to do it once a year, opposed to the House version when they need to do it every quarter. However, for those self-employed individuals whose gross sale does not go beyond the P100,000, they are exempted from paying such taxes. Lastly, the Senate version of the First Package calls for the tax rates to be adjusted or indexed every three years. This is to curb or eliminate issues that come about from inflation. Beside from those key difference, both versions intend to provide noticeable tax relief and spending power to the Filipino workers. Key points from the original House version for bonuses and 13th-month pay are kept in the Senate version. Extending the main changes into the other target areas of the First Package, the Senate version differs from new tax schemes for sweetened beverage and fuel excise taxes. For the rest of the packages of the 2017 Philippine Tax Reforms, the release dates are still in the works. However, the Second Package is targeted to be released in the first quarter of 2018, though it was originally intended to be out for the fourth quarter of 2017. One of the key points in the Second Package includes bringing down the corporate income tax to 28% by the end of 2019, and then another reduction to 25% by 2021. For the time being, the tax rate is set at 30%. Whether the Senate will come up with their version for the upcoming tax reform packages or not remain uncertain, but the chances of that happening are not entirely hard to believe. Regardless of the changes that the Senate may instill in the tax reforms, the most crucial point that should not be altered are its value and intended purpose of helping all of the working class in the Philippines. Regardless of the upcoming changes in the payroll calculations, we can help. JustPayroll.ph offers enterprise-grade payroll software, premium biometric devices, and superior outsourced payroll services.